Aussies Fight Back, Against Corruption in the Wind Industry! STT likes to go in hard, call it early and keep on backing it up. Sure we descend to colourful language, and polish it off with a healthy smear of good old-fashioned sarcasm. But the idiom and imagery we use sits atop a pile of festering wind industry generated lies, deception and common garden variety fraud. Over the next few posts, STT will analyse just what the detonation, its aftermath and fallout means for an industry which, in Australia, is already on the ropes. And we’ll look at what it means to the thousands of wind farm victims here – and around the world. Three months on, and we don’t shy away from any of that. Oh no. If anything likening events at Cape Bridgewater to the wind industry’s very own Hiroshima, was mastery in understatement. You see, Cooper’s work became the central focus of day one of the Senate Inquiry into the great wind power fraud – which kicked off on 30 March, at Portland, Victoria; right next to Cape Bridgewater. Not only did Cooper impress the Senators (save Anne Urquhaut – a wind industry apologist and mouthpiece for Friends of the Earth’s propaganda parrot, Leigh Ewbank), the subjects of Cooper’s study gave evidence to the Committee in camera (privately); and a number of the Senators (save Urquhaut, of course) visited them in their homes the night before the hearing. A number of other wind farm victims laid out the suffering they’ve been forced to endure by wind farm operators, like AGL at Glenthompson and Macarthur, as well. From what STT hears, to say that the Senators were “moved” is to put it mildly. The gut-wrenching evidence of the symptoms and sensations experienced by these people and caused by incessant turbine generated low-frequency noise, infrasound and vibration, left a group of seasoned political performers and parliamentary knuckle men, including libertarian tough-nut, David Leyonhjelm, with watery eyes and lumpy throats. And rightly so: Pac Hydro’s continued mistreatment of its wind farm’s neighbours is nothing short of a disgrace – it is unnecessary, unjustifiedand, in STT’s view, criminal. And, so it was, that South Australian Senator, Bob Day came to describe their evidence as “harrowing”: thankfully, not a word that gets much of a run these days; but, given the gravity of the harm being caused, and the genuineness and obvious sincerity of the victims, one that’s right on the money. The real significance of the day was not only what Day had to say, but that he, and the other Senators on the Committee, including David Leyonhjelm from NSW and Matt Canavan from Queensland have had their eyes opened to the scale of the wind power fraud; and the entirely unnecessary suffering it continues to cause. These boys have uniformly stiffened their opposition to the wind industry; and have joined forces to call for a halt to the greatest rort of all time. Family First senator Bob Day has asked Tony Abbott and Industry Minister Ian Macfarlane to delay a vote to change the Renewable Energy Target for six months, until the conclusion of a Senate inquiry into wind turbines. Any lengthy delay to the scheme is likely to frustrate the renewables sector and energy ­intensive businesses, which have urged the Prime Minister to end the RET stalemate. 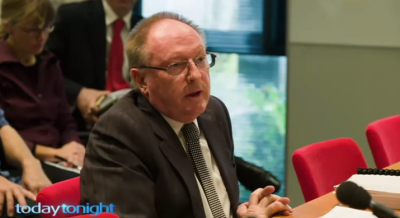 Senator Day said he had heard “harrowing” evidence about the impact of wind turbines on humans and animals during the inquiry’s first hearing last month and wanted to know all the “facts and figures” before a RET deal was reached. “I think it’s not unreasonable to ask that we don’t come to any agreement on the Renewable Energy Target until such time that we get to the bottom of this,” he said. Labor has backed a compromise from the Clean Energy Council, which would cut the large-scale RET from 41,000-GWh by 2020 to 33,500GWh, but the government’s final offer remains at 32,000GWh. Without support from Labor or the Greens the government needs six crossbench votes to see legislation pass the Senate. Liberal Democrat senator David Leyonhjelm, who is also on the wind turbine committee, said he had given the government’s RET offer conditional support. 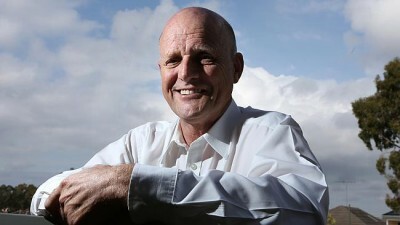 Senator Leyonhjelm said he was much more likely to support the government’s target if there was less of a “big leg up” to the wind power industry. “Ian Macfarlane is doing the rounds in an effort to get six votes,” he said. “I think he probably will get six votes. (The government) will have my vote, with conditions. I’m not a fan of wind turbines, they are killing birds and they are also making some people sick. Bob Day followed up with this letter to The Australian on 27 April 2015. Because I have asked Industry Minister Ian Mcfarlane and the Prime Minister to defer a vote on the Renewable Energy Target until a Senate inquiry into wind turbines has handed down its report, Kane Thornton of the Clean Energy Council tells me I have little regard for the many thousands of people whose jobs are at risk every day this review remains unresolved. This inquiry held its first hearing on March 30 and heard evidence about the adverse effects of wind turbines on humans and animals. The evidence was compelling. There was also evidence on the efficacy of wind turbines to reduce carbon dioxide given the amount of the gas required to manufacture and install them. Since that hearing, information has been provided regarding reports from the 1980s about the adverse effects of wind turbines. The enquiry is keen to understand what wind turbine owners know, and how long they have known it. The inquiry hands down its report in August. Given the seriousness of the evidence so far, I do not think it unreasonable to request deferring a vote on the RET until then. The claim by the CEC’s head spruiker, Kane Thornton that “thousands of jobs are at risk” is utter bunkum. It’s the installation of domestic rooftop solar that’s created the thousands of jobs he’s referring to; and none of them are under threat. No-one is out to scrap the Small-Scale Renewable Scheme (SRES) – which provides the subsidies for rooftop solar – it’s got plenty of backers and – unlike the wind industry – no sworn enemies. Contrary to the CEC’s wailing, there are no wind industry jobs under threat. Construction activity has ground to a standstill, simply because retailers stopped entering Power Purchase Agreements over 2½ years ago, in November 2012, long before the RET Review kicked off in April 2014 (see our post here). 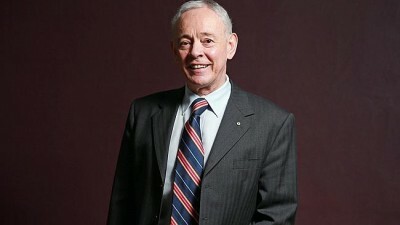 So, Bob Day needn’t worry too much about the CEC’s last ditch attempts to save the LRET; and to avoid the unavoidable: the wind industry is on its last legs, and the CEC knows it. The Battle for Mt Emerald FNQ: What’s the Price for the Sound of Your Silence? Now Matt Canavan has entered the fray. Senator Matt Canavan has requested the Queensland Government to delay making a final decision on the Mt Emerald wind farm proposal west of Cairns. This follows a decision by a Senate committee inquiring into wind turbines to hold a public hearing in Cairns on May 18. Senator Canavan is a member of the Committee and has written to Deputy Premier Jackie Trad requesting a decision on the Mt Emerald proposal be deferred until after the Cairns hearing. “Previous hearings have heard compelling evidence from residents living close to wind turbines about their impact on residents’ health and wellbeing. Unlike other States, Queensland has no specific regulatory guidelines on the minimum distance turbines can be from a place of residence. 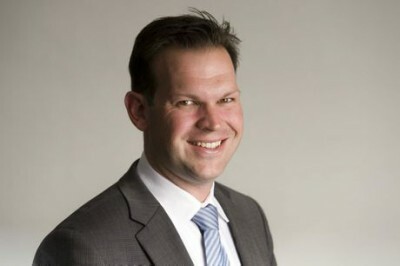 Senator Canavan said the Senate Select Committee on Wind Turbines confirmed on Wednesday that it will conduct a public hearing in Cairns on May 18. The Committee is tasked with inquiring into and reporting on the application of regulatory governance and economic impact of wind turbines. Despite Matt’s more than reasonable call for a little public health prudence, Labor wind industry shill, Jackie Trad went ahead and gave planning approval, in accordance with the Labor Party/Union Super Fund business model. Were Trad to have canned the project, it would have cut across Labor’s cash cow, by further threatening the Ponzi scheme in which Labor/Union heavy owned and (badly) run outfits, like Pac Hydro are well ensconced. In a cunning move, Trad’s press release giving the disaster the nod, was slipped out on Anzac Day, so that there would be no way the media would give it any oxygen at all. STT thinks that it’s no surprise that the Senators on the wind farm Inquiry Committee have turned sharply against the great wind power fraud. And, with Jackie Trad’s sly little move at Mt Emerald, we expect Matt Canavan will come back swinging just that little bit harder. Human beings, possessed of a modicum of empathy and decency, generally don’t like to sit back and watch the common law rights of hard-working people to live in, use and enjoy their homes get steam-rolled. And much less so, when there’s no justification at all for the harm and suffering being endured by the wind industry’s victims – which it regards as “road-kill” – and which the mock-medicos that spruik for it sneeringly call “wind farm wing-nuts“. However, as we’ve pointed out before, the endless lies tossed up by the wind industry and its parasites just don’t wash anymore. These days, people are becoming switched on to the fraud; and angry for having been taken for gullible dupes. But when they learn that – contrary to the ONLY “justification” for the$billions filched from power consumer and taxpayers and directed as perpetual subsidies to wind power outfits – wind power INCREASES CO2 emissions in the electricity sector – rather than decreasing them, as claimed – their attitude stiffens to the point of hostility to those behind the fraud and those hell-bent on sustaining it. Present the facts to reasonable people – and they’ll want to know how the scam got started in the first place, and why it hasn’t been stopped in its tracks already? Watching the Senators on the Inquiry arriving at that point, provides STT with more than just a little encouragement: from here-on, the wind industry hasn’t got a hope in hell of convincing them as to any part of its pitch. Australia, Events- upcoming!, Faux-green, fighting wind turbines, Health, Liberal corruption and incompetence., Noise & Infrasound, not financially feasible, Return to sanity! ← The Truth About Wealth Redistribution, & the Unaffordable, Renewables Scam!